A problem many homeowners face is condensation build up on air conditioning ducts. It can be a nagging problem that’s best caught early, because it can cause mold, water stains, and many more problems. Even more important is how to prevent it from happening in the first place. 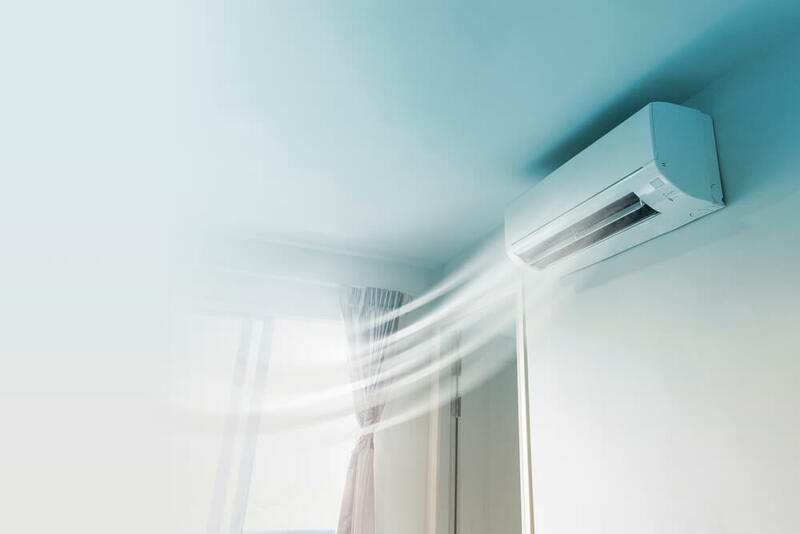 According to TemperaturePro Central New Jersey, who are experts at air conditioning repair in East Brunswick, NJ, there are several different ways in which you can prevent condensation from building up on your ducts, but which method you use depends on the underlying issue. It could be as simple as sealing a few openings or as complex as reinsulating an entire attic, depending on what is causing the problem. Condensation on your air conditioning ducts occurs when warm or hot air meets the cold air from the air conditioning. It causes a build up of condensation, kind of like an ice-cold drink on a hot day. High humidity indoors: This is likely caused by improper insulation of your home, but could be caused by any number of things. Sealing issue: If your ducts aren’t sealed properly, the air leaks can be what is causing the condensation. The warm air is allowed into the ducts, where it meets the cold air, and that is how the condensation is formed. Inadequate or improper insulation: Another common cause of the buildup of condensation in your air ducts is a problem with the insulation. Insufficient insulation allows the temperature of the air flowing through to rise until it reaches a dew point inside the air ducts. If you notice signs of condensation buildup, immediately attempt to locate the problem and fix it. The solution depends on whatever the problems is. In most cases, it is best to have a professional look at it, but if that isn’t possible you can attempt to fix it on your own. Seal your ducts: If the problem you are having is caused by your ducts not being properly sealed, it is essential that you seal your ducts. Not sealing them and trying to remedy it another way will only cause an ongoing issue, as opposed to just sealing the ducts and being done with it. Once you seal your ducts, you should also install insulation in the appropriate places on the ducts to eliminate the ducts sweating altogether. Use a vapor barrier: Some air conditioning ducts are in a crawl space. They should always have a layer of vapor barrier in between the ground and your ducts to eliminate the ground moisture. Install insulation everywhere that needs it: If your house is not properly insulated, it will allow hot air to enter your home which is one of the main causes of condensation on air conditioning ducts. Use a dehumidifier: The problem can be drastically reduced or fixed with a dehumidifier placed near the affected area. A dehumidifier helps by reducing the moisture in the air which will, in turn, reduce condensation. Feeds the growth of mold, mildew, and other bacteria, which in turn puts you and your family’s health at risk because it lowers the quality of the air you breathe. Causes moisture problems within the walls and ceiling, and can potentially compromise the building structure of your home if not taken care of quickly. The thermal resistance of insulation decreases when it gets wet. This means that it will no longer insulate your home well, which will end up costing you more money in the long run. Can cause water to drip from the air conditioning vents, which could cause a slip hazard. If you notice any indication that you may have condensation on your air ducts, e.g., wet spots on the ceiling or water dripping from the air ducts, the best thing you can do is get a professional in there who knows what to look for so you can get the issue resolved as soon as possible before any serious damage occurs.